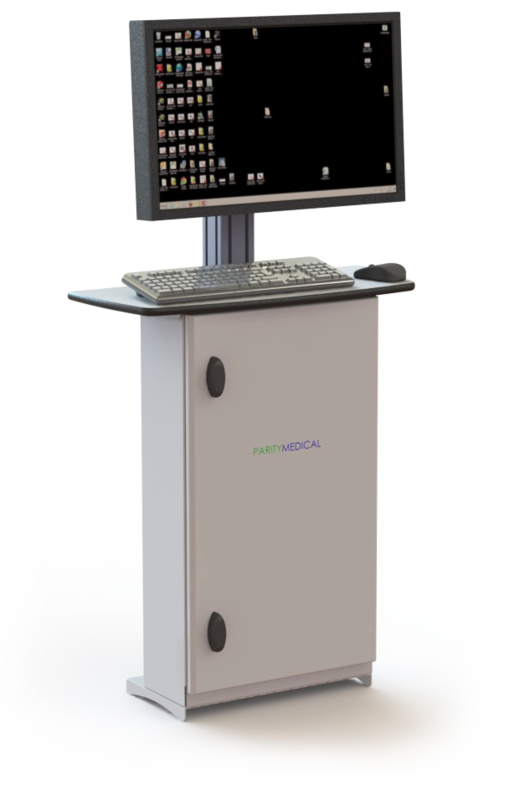 This Wall Mount is ideal for PACS in theatres, for EPR on wards and in A&E. As it is wall mounted, it saves valuable floor space and has an optional protective panel for PACS displays. The PC is sealed in a lockable cabinet, which protects against theft and also spills. Houses Trust standard SFF PC for easy management and cables are fully managed. This Wall Mount has a choice of worktop sizes to suit specific user workflows. It can also mount displays up to 30″.